CUTE! CUTE! CUTE! THE QUINTESENTIAL VACATION BEACH GET-AWAY! Beautifully finished inside and out, this 3 bedroom, 2 bath home is the perfect place for those special family moments where memories are made. Youâll love the hardwood floors, plantation shutters and light airy ambiance. Kitchen offers an updated retro chic appeal with lovely white cabinetry and striking tile finishes. Spacious dining and family area features an attractive fireplace, and the eye-catching living room with beaded board walls provides a rich coastal feel. Master bedroom provides dual closets with closet systems and the gorgeous master bath boasts beautiful marble tilework, walk-in glass shower and a marble-encased jetted spa tub. Second bedroom is spacious, while delightful second full bath enjoys rich tilework. Outside, discover a pleasing paver deck and a fabulous, private, in-ground Pebbletech Pool. Close by, youâll love the hidden outdoor bamboo shower. Just one block away from the world renown powder white sands of St. Pete Beach, you can almost feel the beach at your doorstep. Relish cozy, cool relaxing nights at home or venture out for shopping, dining and entertainment â all less than 5 minutes away. 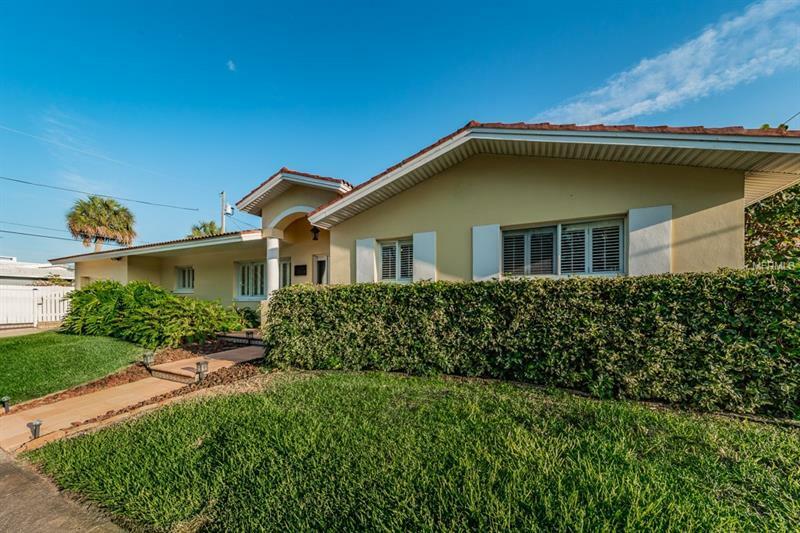 A great location, only 30 min to Tampa International Airport & 15 min to downtown St. Pete. This is an uncommon opportunity to own very close to one of Americaâs finest beaches. Donât miss out!